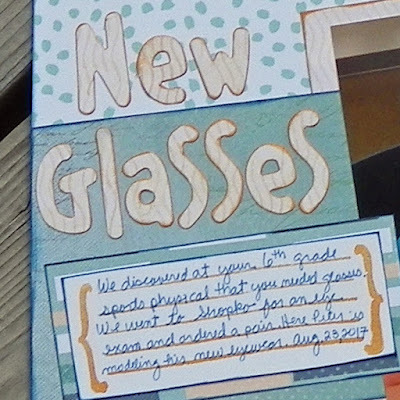 Blog Quick Quotes: New Glasses with Neva! Welcome Quick Quotes fans to the first day of October! 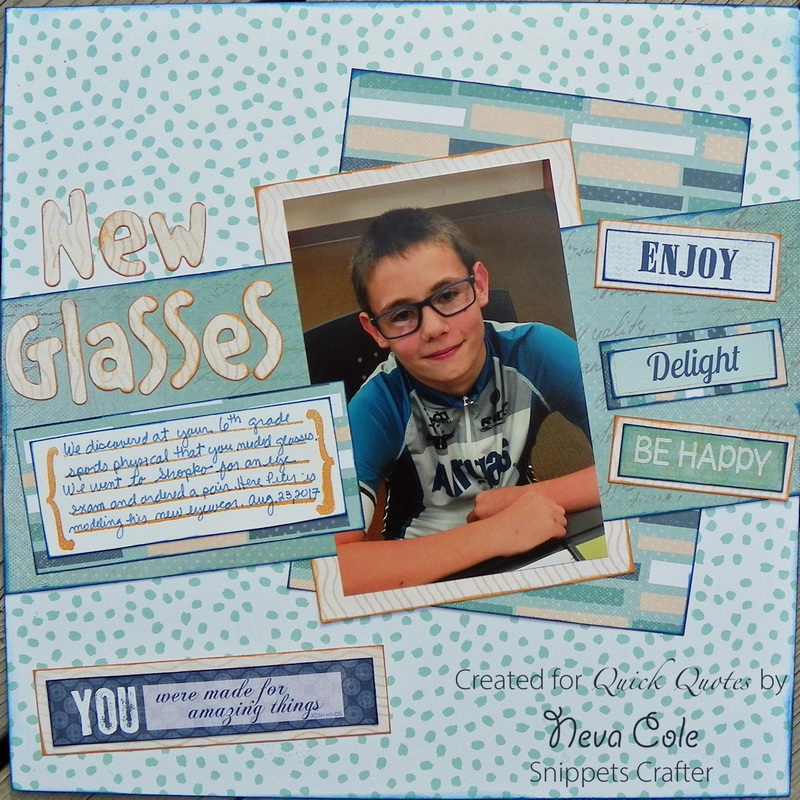 Neva here to share with you a layout about my son and his first pair of glasses. Not always a momentous occasion but being able to see well is a good thing! I combined papers and sayings from several collections to create this page. I only had one sheet of Harmony 104 left in my stash so I designed the page to maximize the patterns on both sides. The background is Spring Showers 103. The section across the middle of the layout is Harmony 104, it was the best color match to my son's shirt. It is trimmed to 6" x 12", then the diagonal is trimmed down 1 1/2" on both edges. The edges are inked with PowderPuff Chalk Ink in Blue Moon. The edges are inked with PowderPuff Chalk Ink in Rusty Nail. The photo is adhered to the diagonal strip. The two pieces of Navigator are adhered behind the photo and the diagonal strip. Looks like the entire photo is matted doesn't it? 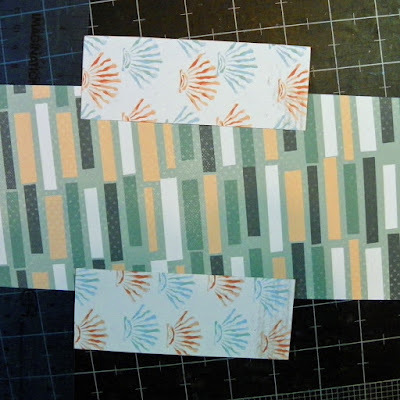 The reverse side of Harmony 104 is trimmed to 2" x 6". The page is laid out to determine the placing of the sections. 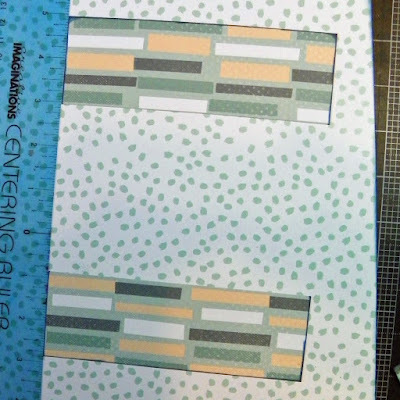 Use a straight edge like a ruler to line up the sections to create the illusion of a 7 3/4" x 6" piece of cardstock. The diagonal section is adhered over the top. 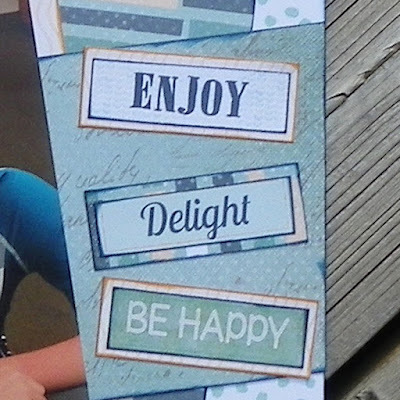 Three sentiments are trimmed from Farmhouse 500 and inked with PowderPuff Chalk Ink in Blue Moon. Two sections are backed with Navigator 103 and inked with PowderPuff Chalk Ink in Rusty Nail. The remaining saying is backed with Harmony 104 and inked with PowderPuff Chalk Ink in Blue Moon. 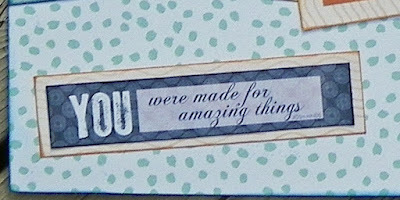 I love this saying from Farmhouse 500, which is inked using PowderPuff Chalk Ink in Blue Moon. It is backed with Navigator 103 and inked with PowderPuff Chalk Ink in Rusty Nail. The title is die cut from Navigator 103 and inked with PowderPuff Chalk Ink in Rusty Nail. I used a brush tip applicator to get in the tight corners of the letters. The journal block is stamped in PowderPuff Chalk Ink in Rusty Nail. It is edged with PowderPuff Chalk Ink Blue Moon. 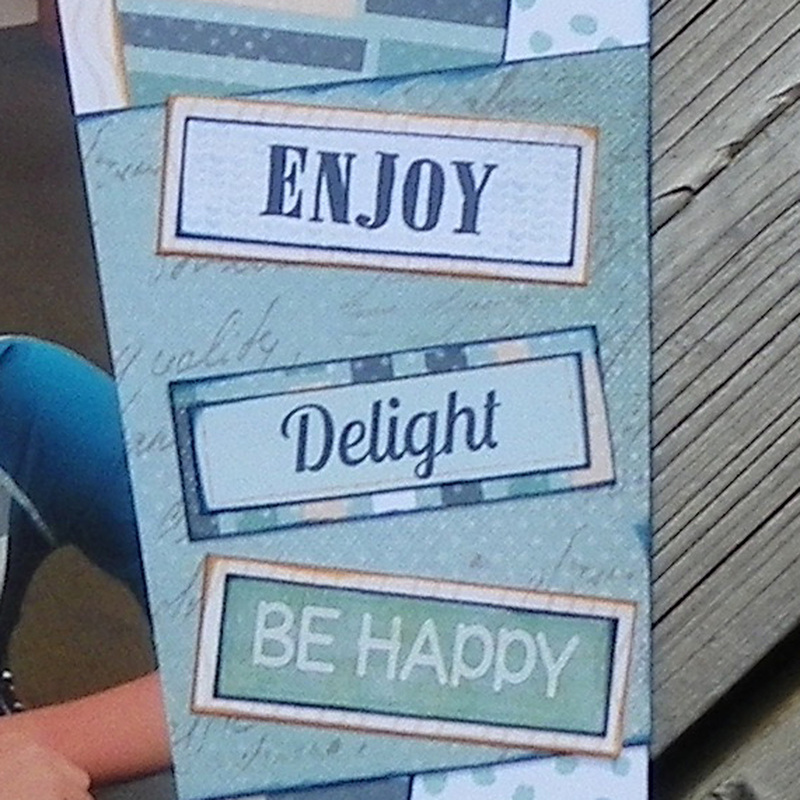 It is then backed with Harmony 104 and inked with PowderPuff Chalk Ink in Blue Moon. My son enjoys looking at his layouts and declared this one to be fantastic! I enjoy documenting times like these and little moments in life, don't you? Thanks so much for stopping by here at the Quick Quotes Blog!